Story:- A chameleon (Johnny Depp) who has lived as a sheltered family pet finds himself in the grip of an identity crisis. Rango wonders how to stand out when it is his nature to blend in. When he accidentally winds up in a frontier town called Dirt, he takes the first step on a transformational journey as the town's new sheriff. 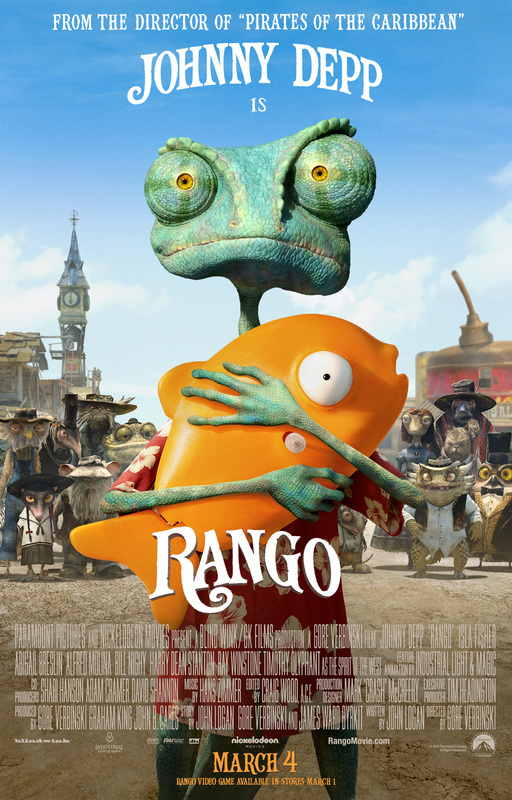 Though at first Rango only role-plays, a series of thrilling situations and outrageous encounters forces him to become a real hero.